WMG at the University of Warwick are partnering with clean energy solution company Intelligent Energy to help develop manufacturing technologies via an advanced proof of process assembly line to significantly reduce the time to manufacture Intelligent Energy’s latest advanced air cooled fuel cell design, leading to a blueprint for a future fully integrated assembly and test line. The 3 year, €3.5 million EU funded DIGIMAN programme brings together WMG at the University of Warwick, Intelligent Energy, Freudenberg, Pretexo, CEA Tech, and Toyota Motor Europe in a project pulling together the latest techniques in digital manufacture and automation in stack production processes to create a state of the art fuel cell manufacturing process for zero emission vehicles. The fuel cell’s use of air cooling gives the fuel cell significant efficiencies – particularly by reducing the weight of the device. “WMG will apply its assembly automation research and knowledge to significantly reduce the projected cell assembly cycle times for the new fuel cell by over 75%. The project will help develop technologies for large-scale production capability in order to meet expected future requirements of more than 50,000 fuel cell stacks by 2020. Funding for the project is being provided by the Fuel Cells and Hydrogen Joint Undertaking (FCH JU) which is a unique public private partnership supporting research, technological development and demonstration activities in fuel cell and hydrogen energy technologies in Europe. Its aim is to accelerate the market introduction of these technologies, realising their potential as an instrument in achieving a carbon-lean energy system. The three members of the FCH JU are the European Commission, the fuel cell and hydrogen industries represented by Hydrogen Europe and the research community represented by Research Grouping N.ERGHY. · About Intelligent Energy -Intelligent Energy Holdings plc delivers clean energy solutions for the distributed energy, diesel replacement, automotive and aerial drone markets. Working with international companies, Intelligent Energy aims to embed its fuel cell stack technology into applications across its target market sectors. With its principal facility and headquarters in Loughborough, UK, the company also operates in Japan, India, China, Singapore, France and the US. Intelligent Energy Holdings plc is listed on the London Stock Exchange (LSE: IEH.L). WMG was established by Professor Lord Kumar Bhattacharyya in 1980 in order to reinvigorate UK manufacturing through the application of cutting edge research and effective knowledge transfer. 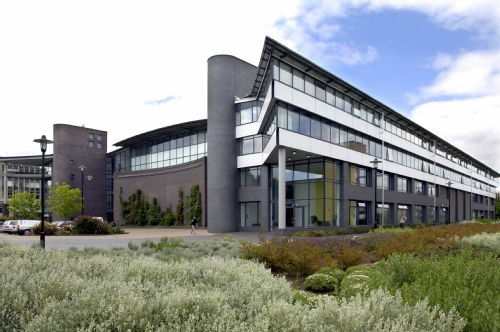 WMG is a world leading research and education group and an academic department of the University of Warwick. WMG has pioneered an international model for working with industry, commerce and public sectors and holds a unique position between academia and industry. The Group’s strength is to provide companies with the opportunity to gain a competitive edge by understanding a company’s strategy and working in partnership with them to create, through multidisciplinary research, ground-breaking products, processes and services.